We’ve probably used every superlative in the book to describe the Clutch Custom style by now. 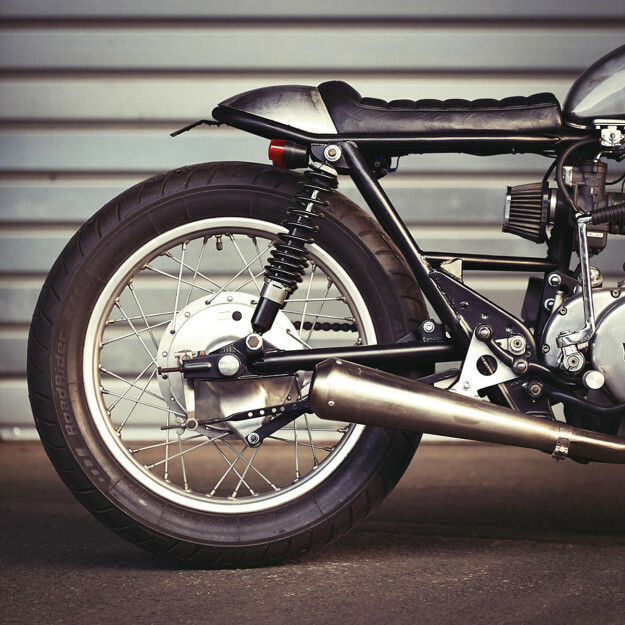 Propriétaire Willie Knoll builds bikes that we just can’t tear our eyes away from. 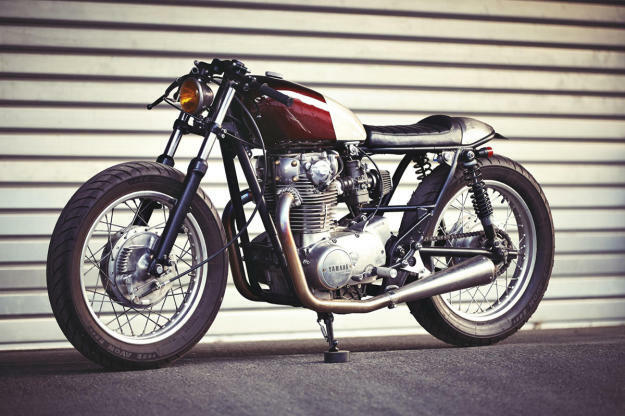 As we’ve come to expect from the Paris-based builder, this XS650 is low-key and refined. But it’s stacked with hand-made bits and pieces—details that M. Knoll prides himself on, but claims won’t be noticed at first glance. 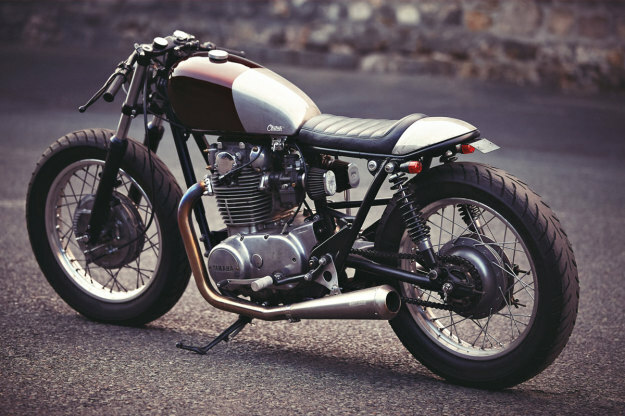 For starters, the XS650 now packs an extra wallop thanks to an engine rebuild with a 750cc big-bore kit. 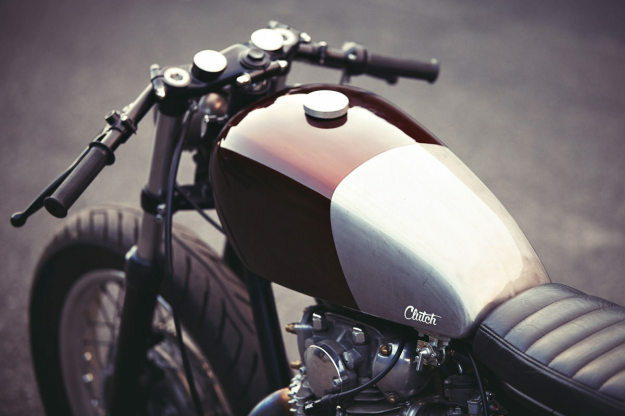 Helping the extra cubic centimeters do their job are a pair of Dell’Orto carbs, K&N filters and classy Spark mufflers. 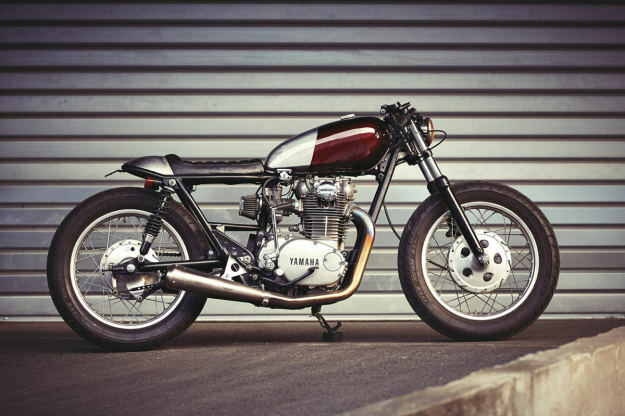 The front-end has been thoroughly re-engineered too, with a set of Yamaha SR500 forks mated to custom-made triple trees. The front drum brake is also from an SR500. Like the stock XS650 rear hub, it’s laced to a new 18” rim, wrapped in Avon Roadrider rubber. To clean things up visually, Willie’s cut the wiring right down. (Since the XS650 has a kick starter, he’s also eliminated the battery.) The stock fuel tank has been re-tunnelled to accommodate the remaining electrical components. 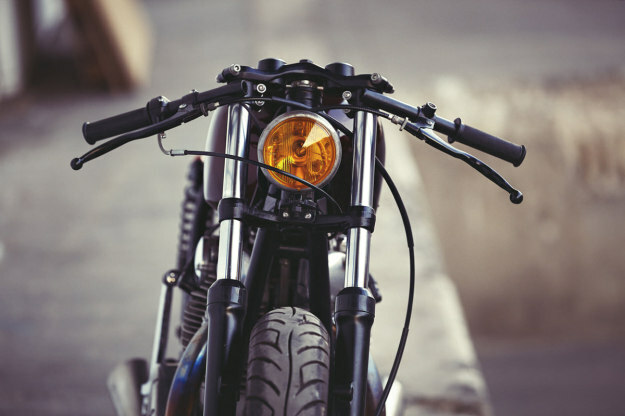 The café-esque seat unit and cowl are hand-made, perched on top of a re-worked subframe. Other one-off bits include new clip-ons, foot pegs, exhaust and headlight brackets and a very neat gas cap. Minimalist lighting rounds off the package. Willie has kept the finishes on the XS650 raw and industrial—with just a splash of color on the fuel tank and headlight lens. We applaud Monsieur Knoll for his impeccable taste. And we’re intrigued to hear that what started out as a personal project is now for sale. Would it fit in your garage?